There’s always been an East Coast v.s. 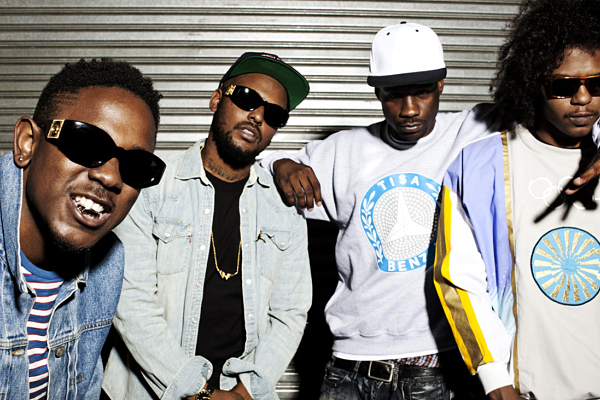 West Coast rivalry in the underbelly of hip hop and as the genre snatches back its mic, it’s become more prominent, especially with the rise of South Central’s own BLACK HIPPY. More known for its ringleader in KENDRICK LAMAR, the Cali rap collective also comprised of SCHOOLBOY Q, JAY ROCK and AB-SOUL, bring together a street-born flow that’s less swagged out and more Tha Dogg Pound and A Tribe Called Quest meets an exquisite experimental taste. The flavour stings, traces the hippy life and isn’t afraid to pull out a Del La Soul vibe and use a Kid Cudi/MGMT hook to amplify it. It may not be universally astounding in the dark depths of music today, but Black Hippy’s comprehensive attitude is as biting as it is descriptive, taking pages out of the genre’s history and leaving their own imprint with a pen that never seems to run out of ink.